Patch 5.4 is nearing ever closer, and with it 33 new pets to collect. Here are a few things you can do to prepare prior to the patch so that your pet collecting goes a little smoother. In 5.4 there will be two BoP, non-tradeable pets that require max level engineering. Additionally, another pet will come indirectly from engineering, so the profession is not absolutely necessary for this pet (but it doesn't hurt). If you have a character that's an engineer that doesn't have 600 skill yet, now would be a great time to level the profession up. Wowhead has a guide on leveling engineering from 1 to 600 that may help you along. Once you've maxed out engineering, you can start collecting and saving Ghost Iron and Living Steel. Both of these will be key materials to crafting Pierre and Rascal-Bot. For each pet you will need 150 Ghost Iron Bars (for crafting 10 Jard's Peculiar Energy Source) and 15 Living Steel. Depending on how you create the Living Steel, you will want to stock up on extra Ghost Iron Bars. 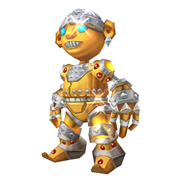 Should you wish to go one step further, it may also be beneficial to craft Blingtron 4000. 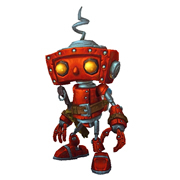 A new pet, Lil' Bling, will have a chance to come from Blingtron's daily gift package. However, anyone can access the daily quest from any Blingtron, so creating one of your own is more of a convenience than a requirement. There isn't much you can do to prepare for the Celestial Tournament, aside from reading player ideas on teams to use against certain tournament trainers. However, one thing that can be done prior to the event is leveling as many pets to 25 as possible. Only 15 max level pets are needed to enter the tournament, but having a large selection of pets with varying attacks and abilities will be helpful when going up against trainers and the Celestial pets. Even Jonathan LeCraft, senior game designer at Blizzard, recently commented that it will be "...fairly difficult with 15 though. You would need to plan them carefully." If you're looking for a good way to level pets, the trainer dailies are currently the most preferred method. With a Safari Hat and some experience food, your pets can earn a large chunk of experience each time. For recommendations on how to defeat the trainers while using a low level pet, there are some helpful guides on the WarcraftPets forums. Many of the new pets in 5.4 will be drops from rare NPCs on the Timeless Isle. If you use addons such as NPCScan, be ready to update your addon to include the newest rarespawns. Note: It's unclear if NPCScan will be updated to include the new 5.4 mobs, but players can manually add specific creatures to the alert list at any time. Adding the rarespawns now might save some time and headache later. If you haven't collected all the Throne of Thunder dropped pets yet, you might want to save up your Mogu Runes of Fate. In 5.4 bonus rolls in Throne of Thunder LFR will have a chance to yield a pet in addition to standard loot. 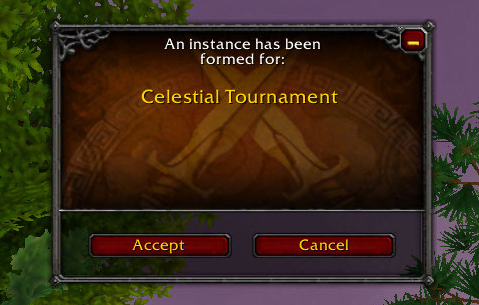 However, come 5.4 Mogu Runes of Fate will only be available on the Timeless Isle, purchasable for 2500 Timeless Coins. So better stock up now while they're still cheap! WoW game designer Owen Landgren confirmed that the change to bonus rolls will also apply to Siege Orgrimmar LFR. Keep in mind that the currency used in the new raid will not be Mogu Runes of Fate. Instead, bonus rolls will require Warforged Seals. You will be able to obtain these in the same fashion as previous currencies — turn in 50 Lesser Charms of Good Fortune each week for 3 Warforged Seals. Make sure you have enough Lesser Charms! You can earn Lesser Charms a number of ways. For a pet collector, the best way is to simply pet battle! Lesser Charms have a chance to drop from defeating wild pets or a trainer. Although pre-planning for new pets can make the collecting process easier, it's not absolutely necessary. Collect them all in a way that suits you! 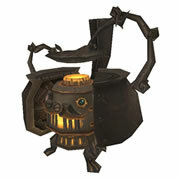 Whether or not you prepare for the upcoming patch, acquiring the new pets should be fun and exciting. Take your time and enjoy the adventure. There will be a lot to see and do... and collect!